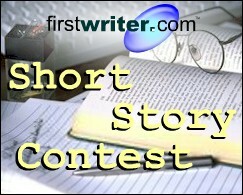 The deadline for firstwriter.com's Fifth International Short Story Contest has been delayed by one month to May 1, 2009 to allow for last minute entries. The winner of the competition will receive a cash prize of £200, or the equivalent in your currency (that's around $400). Not only that, but there will also be ten special commendations awarded. All eleven winners will be published in firstwriter.magazine and receive firstwriter.com vouchers worth $30 / £20 / EUR30. These vouchers are enough to cover the cost of creating an annual subscription to firstwriter.com, allowing access to our daily updated databases of over 170 writing competitions, over 850 literary agencies, over 1,100 book publishers, and over 1,000 magazines – as well as the option to receive daily alerts by email of new and updated listings which match your interests. Finding literary agents, publishers, magazines, and writing competitions is now easier than ever, thanks to a new feature launched on firstwriter.com this month. Ever since its inception in 2001, firstwriter.com's mission has been to help writers find markets for their writing more cheaply and more quickly than previously possible, reducing the time writers spend trawling through listings and thereby increasing the amount of time they can spend actually writing! The time users have to spend searching for markets has been further reduced this month with the introduction of "saved searches" on firstwriter.com. This means that if you regularly perform the same search, or the same set of searches, you can now save those searches by pressing the "Save this search" link on the results page, giving you one-click access to those results again in future, without having to enter all your search parameters all over again every time you log in. To create a saved search, all you have to do is go to the website as normal and perform the search you're interested in on any of the literary agents, publisher, magazine, or writing competition databases. On the results page you'll find a floppy disk icon next to a link reading "Save this search". When you click the "Save this search" link you can create your own custom name for the search, making it easy for you to refer back to it in future. This means that you can not only describe the search itself (e.g. "US historical fiction agents" or "UK cookery publishers") but, if you have lots of different pieces of work you're looking for markets for, you can just give each search the name of the piece of work you're targeting at it. Once you've saved your search, you'll find it on your home page so you can access it as soon as you log in – so if you've got five pieces of work you're trying to place and you've saved one search for each piece under the name of the work, then as soon as you log in you'll see your five pieces of work listed on your home page, and you can just click the one you're looking to make submissions for and immediately be taken to the search results you generated previously. However, because it's the search you save, rather than the results, the list will be automatically updated with any new listings matching your requirements every time you view it. The magazines, publishers, and agents databases all now display with the most recently updated listings first, meaning that the new and changed listings are drawn immediately to your attention. If you save more than five searches you can view them all on a single page listing all your saved searches, where you can save up to 50 different searches. Your first five searches also appear on your home page. By default, new searches will be saved at the top of your list, but you also have the option of changing the order in which they appear. So, if you find you want to revisit an old search, you can move it to the top of your list with one click, so that it appears on your home page again. If you want to get rid of old searches, you can also delete them. Not only this, but because the information is saved on our server, rather than your computer, you can have access to the same saved searches no matter where you are or what computer you're logging in from. To get started with this new feature just go to https://www.firstwriter.com/subscriber and start searching! My seventeen-year-old son and I have always had an upsy-downsy relationship. If I were to describe us in one pat phrase, I'd call us the crazy-makers. We're both a little crazy, we make each other crazy, and I'm just plain drop-dead crazy about him. One of the main causes of our ongoing collisions is this: He's a doer. I'm a dreamer. He's like a combination of Intel's Andy Grove, (Don't give me excuses. Give me results!) former Ohio State football coach Woody Hayes (Show me a good loser and I'll show you a loser!) and Robert Kennedy (If not you, who? If not now, when?). Our styles are so different. Our agendas don't merely conflict: they scream bloody murder at each other. My writing is a perfect example. For about ten years, I've suffered from the wannabe writer's virus that seems to plague a lot of forty-something homemakers like myself. After all, I have a bachelor's degree in English. I've read articles in magazines and newspapers that I can compete with. And the kids don't get home until 6:30pm, so I can no longer plead fulltime motherhood as an excuse, as my persistent son never fails to point out. So what's the problem? Well, the problem, according to my sweet, reassuring son, is me. Brian's profound insights are always a joy. It's like getting a bucket of icy cold water poured down your back when you've just settled down by the fireplace with a good book, a steaming cup of hot chocolate, and a nice warm blanket wrapped around your body on a bitter-cold winter night. That's Brian for you. If he worked for an insurance agency, he'd be the bean counter. He's a no-nonsense, reality-check, tough-love type. He announces the raw facts of life. He gives the bad news. He tells everybody exactly what they don't want to hear. He tells me when my fly's down. He reminds me that Mass started twenty minutes ago, as I madly dash off to church. He reminds me that school ended two weeks ago when I absent-mindedly ask how school was. He reminds me that I just asked him that when I ask him again. When I wonder why all the cars are turning right instead of left at the upcoming intersection, (I want to go left) he testily informs me that "They have no choice! It's a one-way street!" He says that I need to take a course in a touch of reality. That's because my imagination sometimes runs away with me. I've spent hours sitting at the kitchen stove formulating my writing thoughts. I've happily envisioned myself receiving a Pulitzer Prize, effortlessly hobnobbing with such authors as Jane Hamilton and Wally Lamb who beg to know my trade secrets. Oh, it's all so wonderful. And I'm getting there. I'm thinking mind-boggling thoughts that could easily become the "Pentium chip" of the writing world. I point my cigarette in the direction of the kitchen stove's vent which then suctions the smoke outside and trustingly believe that some miraculous force of nature, some fate will suction these stirring thoughts and ideas from my head onto the computer and then into the hands of a publisher who will do both of us proud by publishing my work. But then the dreaded bucket of ice water appears and starts trickling down my back, dampening my warm, cosy security blanket. "Mom," Brian hollers, "Stop daydreaming!" "I'm not daydreaming! I'm thinking about what I want to write." "Mom," he advises, "Don't think about what you want to write. Write about what you're thinking!" "I can't write about what I'm thinking until the thoughts appear in my head. I'm thinking." "Everyone thinks. Writers write. That's why they're called writers. If you want to be a writer, you have to write." At first I felt angry and defensive. I came up with many convincing counter-arguments. I needed to do more research, read more books on how to write, audit more writing classes. In short, do anything except write. Well, I could say this and that, and these comforting distractions did take some of the sting out of his tart comments. But they didn't remove the unfortunate reality that he was absolutely right. The truth hurts. Writing is hard work. It involves blood, sweat, and tears. It is much more difficult to confront the black and white reality of one's writing abilities and disabilities on a computer screen than to fantasise about one's writing potential and the writing awards that it is always fun to receive. But nothing exquisite was ever achieved without great struggle. And the long range benefits of actually becoming a real live honest-to-goodness writer will far outweigh the short term benefits of pretending to be a famous one. My smarter-than-Mom son, through his razor-edged, get-real words, got my words real by getting me to write them down. Thereby giving them a life. And me a life too, as a writer. And it's a wonderful life. A life that makes me want to get up in the morning A life filled with raw passion and burning desire. A life that has brought me to realms of happiness that I had never known. I can’t tell you any more, because it goes beyond all telling. I can only say "Thank you, Brian." And hope you understand. I’m becoming increasing aware of something that I have always intuitively known… that there is something about this person with whom I’ve been sparring that is good and decent and straight and made out of solid gold. My son's tough, prickly exterior protects a heart of gold. He is a fine, profoundly sensitive, intelligent young man who will do everything he can to help make this world a better place for us all. And he's also made some discoveries. In a recent English essay, Brian noted that "Women are the emotional caretakers, the heart and soul of the family. They nourish, sustain, nurture, and support the family through hard times. They provide the glue that holds the family together, the floor beneath everyone's feet. Whether picking cotton or preventing Pa from kicking Joey off the ranch, they see what needs to be done, then do whatever it takes to get the job done, because the men aren’t getting it done. In essence, women provide stability during unstable times." This, from Brian, the male chauvinist of the century? I am awed as I read this, because he knows. He expressed my deepest feelings and put into words something that I, for so long, have felt intensely but somehow been unable to articulate. He said it for me. Thank you again, Brian. This means more to me than you could possibly grasp at your tender age of seventeen. But some day you will understand. We're getting there bit by bit, he and I. He continues to grow both in size and in his striving for excellence, not just academic and athletic excellence, but in his desire to broaden his outlook and perspective, in short, to become a better man. I've sometimes mourned losses and drowned hopes with inconsolable bitterness and sometimes chased multi-colored rainbows just beyond the sun (that always follows the storm) with a drunken and wild joy. But at this moment, I feel nothing other than sheer, unadorned gratitude as I tremble in sweet surprise at this unexplainable desire to become a better woman. Many moons after we've both turned up our toes to the daisies, I'll be stirring in my grave, still mystified. And the Brian-undercurrents will shake my grave. "I'm not daydreaming," I'll rationalise, embarrassed at getting caught goofing off yet another time by my project-happy son. "I'm creating my story." "An untold story is no story at all! If you want it to be a story, you have to tell it." "There's no one to tell my story to. I'm buried under eight feet of dirt!" "Than tell it to the dirt! Write it into the dirt with your fingertips! Feed your story to the good earth and make the flowers grow. Make many flowers grow. Make a pretty garden for everyone." I mean, it's one thing to feel compelled to be a better woman, but a better corpse? This kid is unrelenting. Nevertheless, after that tongue-lashing, I've no doubt that I will dutifully tell all untold stories to the good earth and than do my darnedest to make those flowers grow. This is better than as good as it gets, because it just keeps on getting better. I’m sending this manuscript to a publisher this afternoon. And then getting a long overdue permanent at the beauty parlour. And a hot fudge sundae with three scoops of ice cream and four scoops of fudge. What a kid! What a Mom! What a world! What a life! I’m in love! HarperCollins has launched a new imprint, "HarperTrue", which is looking for amazing true life stories. You don't need to write the story yourself, just send an overview of what happened ("your journey, your struggles, your victories, who was involved, how your story ended or whether it is still continuing"), up to 2,000 words, and your story will be considered. For more details go to www.harpertrue.com. Private Photo Review is seeking poems about ecological disaster for its Spring/Summer 2009 issue. The deadline for submissions is April 15, 2009. FinePrint Literary Management agent, Colleen Lindsay, recently initiated a "query fail" feed on Twitter, allowing agents to post extracts from the worst queries they've received. Lindsay insists that the intention was to educate writers, not mock them, but Nathan Bransford of Curtis Brown opted not to take part, instead focusing on the positive in his blog: "Seems like a good opportunity to remind everyone who is thinking of querying me that you do not have to fear becoming blog / Twitter fodder. Ever. Never ever". Words Magazine has announced the winners of its Free Entry Email Competition, and the "Author's Choice" Short Story Competition. The results can be accessed here. The magazine is also running five free fiction contests through 2009. For details, click here. Kudos 75 is now available, providing details of writing competitions closing from the end of the month to mid May. Every issue includes around 200 competitions; at least 50 for poetry, around 40 for short stories. Plus collections, anthologies, playwriting, nonfiction, books etc, home and abroad. Details of around £250,000 in prize money. A free sample back issue can be emailed as a pdf file. For more information, go to www.kudoswriting.